Vijnaneshwara was a prominent jurist of twelfth century India. His treatise, the Mitakshara, dealt with inheritance, and is one of the most influential legal treatises in Hindu law. 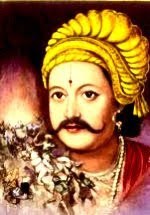 Vijnaneshwara was born in the village of Martur, near Gulbarga in Karnataka. He lived in the court of Chalukya Vikramaditya VI (1076-1126), in Kalyan. The Hindu Law of the constitution is based on Mitakshara. Let us see the speech by Justice by Markandey Katju and then continue our discussion. When I was informed of the topic: "The importance of Mitakshara in the 21st century" my initial reaction was that Mitakshara has hardly got any importance today except with regard to coparcenary property rights of Hindus. As you all know, most of the old Hindu laws were replaced by parliamentary statutes in 1955 and 1956 viz. the Hindu Marriage Act, 1955, the Hindu Succession Act, 1956, the Hindu Adoptions and Maintenance Act, 1956, the Hindu Minority and Guardianship Act, 1956, etc. These Acts have substituted the Mitakshara and the Dayabhaga law except with regard to succession to ancestral property, which continues to be covered by the Mitakshara vide Section 6 of the Hindu Succession Act, 1956. This is a practical age. Lawyers are interested in knowing the law which will help them in their cases, and they are hardly interested in purely academic matters which have little practical application. Hence, hardly anyone reads the Mitakshara or Dayabhaga today, as they have largely been superseded by the statutes made by Parliament. However, I wish to speak on the topic from a somewhat different angle. As is well known, the Mitakshara prevailed all over India except in Bengal and Assam where the Dayabhaga prevailed. The Mitakshara is a commentary on only one Smriti called Yajnavalkya Smriti, whereas Dayabhaga is a digest of all the Smritis. Although Hindu law is regarded as having emanated from the Vedas (Shruti) the truth is that there is scarcely any law in the Veda (Shruti) and the Hindu law that has really emanated from the Smritis. There were large number of Smritis of which the surviving ones are of Manu, Yajnavalkya, Vishnu, Narada, Apastamba, Gautam, Parasara, Vashist, Katyayana, etc. As I have mentioned, the Mitakshara is a commentary only on the Yajnavalkya Smriti. The question therefore which arises is as to why Vijnaneshwara chose only the Yajnavalkya Smriti for his commentary. There was Manu Smriti which was held in even greater respect than Yajnavalkya Smriti, but Vijnaneshwara preferred to write his commentary on the Yajnavalkya Smriti rather than on Manu Smriti. We can get the answer to this question if we compare Manu Smriti with Yajnavalkya Smriti. Manu Smriti is not a systematic treatise. It does not have a clear-cut division between religion and law, as in Yajnavalkya Smriti. If we read the Manu Smriti, we will find that there is one shloka on religion, the next shloka on law, third on morality, etc. Everything is jumbled up. On the other hand the Yajnavalkya Smriti is divided into three chapters. The first chapter is called Achara which deals with religion, the second chapter is called Vyavahara which deals with law, and the third chapter is called Prayaschit which deals with penance. Thus, there is a clear demarcation between law and religion in Yajnavalkya Smriti, which is not to be found in the Manu Smriti. This demarcation between law and religion itself is a great advance over the Manu Smriti. Thus, the Yajnavalkya Smriti marks a tremendous advance in law over the Manu Smriti. Law is now clearly separated from religion. This is analogous to the Roman law or to the positivist jurisprudence in the 19th century of Bentham and Austin. Also, the Yajnavalkya Smriti is shorter and more liberal, particularly towards women than the Manu Smriti. It was perhaps for this reason that Vijnaneshwara preferred the Yajnavalkya Smriti to the Manu Smriti for writing his commentary. As is well known, the Mitakshara was written by Vijnaneshwara during the reign of Vikramarka, a Chalukya ruler of the 11th century A.D. Although, the Mitakshara was written by a South Indian, its remarkable feature is that its authority spread all over India except Bengal and Assam (where too it has great respect) and it was accepted as the authoritative text on Hindu law even in North India. Mitakshara was certainly not a law made by Parliament. In fact, in those days there was no Parliament and the law consisted of treatises of learned jurists. The Mitakshara was accepted as an authoritative text on Hindu law not due to promulgation by any sovereign authority such as the King or Parliament, but due to its tremendous scholarship, logical analysis and the sheer force of intellect of its author. "Let noble thoughts come to us from every side." "A king is worshipped only in his own country, but a learned man is worshipped everywhere." This is the lesson which the Mitakshara teaches us in the 21st century. If India has to rise as a nation we must not be sectarian or chauvinists but all must feel like Indians living like a united family and must respect each other, whether we come from North or South, East or West. The second importance of Vijnaneshwara's Mitakshara in India in the 21st century is the great progress it made in traditional Hindu law by making it secular. In this connection it may be mentioned that in ancient India there was not only great development in Philosophy, Mathematics and Science, but there was also great advancement in the field of law. 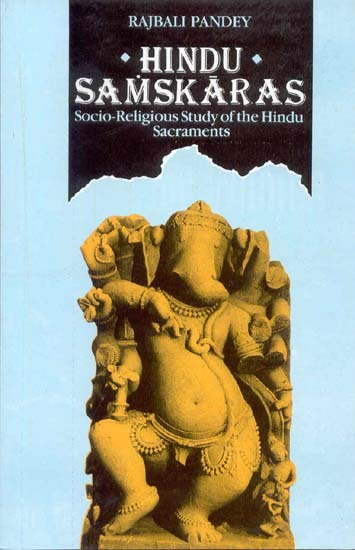 Until the Mitakshara of Vijnaneshwara came into existence, Smritis and commentaries were largely religious and not secular. It was the Mitakshara which was the first to make the laws of property and inheritance secular. The bifurcation of the Mitakshara and Dayabhaga was due to two different interpretations given to a single word "sapinda". Manu has written that when a man dies, his property goes to his nearest "sapinda". The question is therefore what is the meaning of the word "sapinda". That depends upon the meaning of the word "pinda". According to Dayabhaga, "pinda" means the rice balls which are offered in the Shraddha ceremony to one's deceased ancestors. On the other hand, according to the Mitakshara the word "pinda" does not mean the rice balls offered at the Shraddha ceremony at all but it means the particles of the body of the deceased. "Vijnaneshwara abandoned the theory of connection through the rice-ball offering and accepted the theory of transmission of constituent particles." "If that were so, other purposes of opulence and gratification, which are to be effected by means of wealth, must remain unaccomplished and if that be the case, there is an inconsistency in the following passages of Yajnavalkya, Gautama and Manu, 'Neglect not religious duty, wealth or pleasure in the proper season.' "
As stated above, Vijnaneshwara relies on no Smriti authority in support of his contention that the word "sapinda" has a secular and not religious connotation. Instead, Vijnaneshwara displayed his creative brilliance by relying for this purpose on Jaimini's Lipsa Sutras as he calls the 3rd Adhikarana of Chapter I Book IV of Jaimini's Sutras. According to Vijnaneshwara, the origin of property is popular recognition, and hence the basis of inheritance and succession is relationship by blood. While Jimutavahana makes the text of Manu on the subject the foundation of his principle of inheritance (because Manu emphasises the spiritual aspect), Vijnaneshwara mainly relies on the text of Yajnavalkya, because the latter prefers the matter of factual aspect. Vijnaneshwara utilises the Mimansa Adhikarana as interpreted by Prabhakara who is reputed to be an heterodox propounder of the Mimansa Sutras, while the orthodox interpretation of the Adhikarana as given by Savaraswami and Kumarila Bhatta gives no support to Vijnaneshwara's views. Thus, we see that Vijnaneshwara utilises the Mimansa principles, particularly, the Prabhakara school, for striking out a new, secular path in the field of law. This new, revolutionary change in the law which Vijnaneshwara effected by his new definition of the word "sapinda" had remarkable practical effects. For instance, Jimutavahana who wrote the Dayabhaga, did not permit inheritance to a son at birth. This is because Dayabhaga followed the traditional rule that only the person who can perform Shraddha for his ancestor can inherit the property. In the book called Parvana Shraddha the list of persons who can perform Shraddha is mentioned. At Serial No. 1 of the list is the son. At Serial No. 2 is the son's son, etc. The general rule is that if a person at a higher position in the list is available, then one cannot go down the list, and the list terminates there. For instance, if the son is alive, then the son's son (i.e. grandson of the deceased) has no right to perform the Shraddha, because the grandson is at Serial No. 2 in the list given in Parvana Shraddha, whereas the son is at Serial No. 1. Hence, the grandson of the deceased has no right to inherit the property when the son is alive, because the grandson has no right to perform Shraddha when the son is alive. It is for this reason that there is no inheritance at birth in Dayabhaga when the father is alive. This is in sharp contrast to the Mitakshara in which the son inherits a share in the ancestral property at birth. Similarly, in Dayabhaga the unborn son in the mother's womb cannot inherit a share in the property, because an unborn son cannot perform Shraddha. On the other hand, in the Mitakshara an unborn son in the mother's womb gets a share in the ancestral property. Dayabhaga prefers the father to the mother, because he presents two oblations in which the deceased son participates, while the mother presents none. 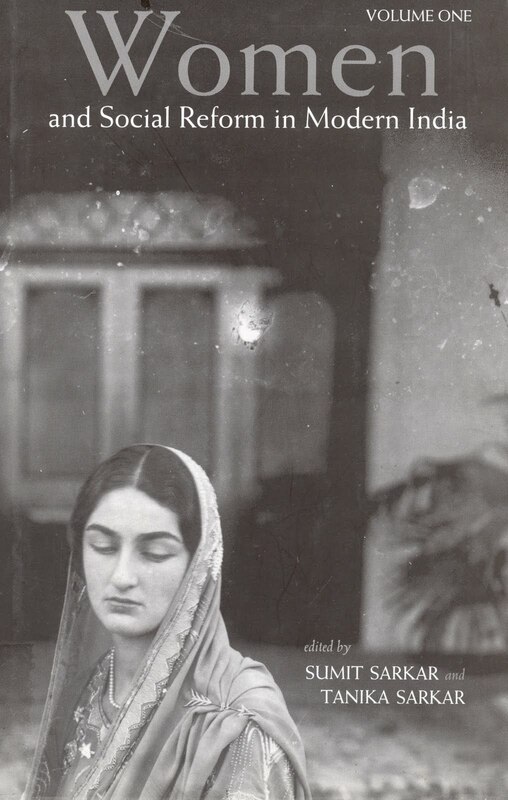 Vijnaneshwara takes exactly the opposite view on the ground that "her propinquity is greatest". The view of Vijnaneshwara is reflected in the Hindu Succession Act, 1956 because the mother of a deceased Hindu is a Class I heir, and is hence automatically entitled to a share in the property of her deceased son, whereas the father is only a Class II heir, and will only get the property if there is no Class I heir. Thus even today a mother's position is higher than the father so far as succession is concerned, and this is in accordance with Vijnaneshwara's view. Similarly, the right of a daughter to succeed is rested by Jimutavahana upon the funeral oblations which may be hoped for from her son, and the exclusion of widowed, or barren, or sonless daughters, is the natural result. The Mitakshara follows Brihaspati in basing her claim upon simple consanguinity. As a son, so does the daughter of a man proceed from his several limbs. How then can any other person take her father's wealth? And he excludes neither the widowed nor the barren daughter, but prefers one to another, accordingly as she is unmarried or married, poor or rich, that is, according as she has the best natural claim to be provided for. The right of a daughter's son when he succeeds on the death of the widow and daughter certainly rests far more upon consanguinity than on religious efficacy. The preference of the daughter's son to agnates, whose claims based upon pinda offerings are stronger, can only be explained by propinquity. No doubt, according to Manu, Vishnu and Yajnavalkya, a daughter's son should perform Shraddha for the maternal grandfather. But, from the way Vishnu expresses it, the rule appears to be recommendatory. According to the Mitakshara, the Shraddha of the maternal grandfather is not obligatory but is only optional, except when the mother's sapindikarana has taken place with the maternal grandfather. The express view laid down in the Mitakshara on the Shraddha rites that sapinda-relationship with the deceased is wholly independent of his being benefited by the pindas or not, is decisive and is consistent only with the conclusion that propinquity must be judged without reference to the grades, number or quality of the funeral offerings. The conclusion therefore is irresistible that the Mitakshara does not admit religious efficacy either as a basis of heirship or as a measure of propinquity. The rules governing the right to perform Shraddhas or the offering of pindas, though in part determined by propinquity, are also in part influenced by different considerations. Religious efficacy as deduced from these rules can therefore furnish no safe or satisfactory test as regards the order of succession. The above discussion shows that Vijnaneshwara struck a totally new note in the development of Hindu law and made it secular. This has great importance for the 21st century when secularism is absolutely essential for the unity and progress of the nation. India is a country with tremendous diversity, innumerable religions, castes, languages, ethnic groups, cultures, etc. Hence only secularism and respect for everybody can keep the country together and make it progress. That is also the mandate of the Constitution, vide Articles 25 to 30 of the Constitution. Apart from the above, the Mitakshara of Vijnaneshwara liberalised the law with regard to women. He provided for maintenance not only of the chaste wife but also the unchaste wife and unchaste widow. Also, while earlier writers circumscribed women's property within the narrow limits prescribed by Manu, Vijnaneshwara included all property however acquired within the definition. In this connection his liberal views evoked protests from conservative scholars, one writer going so far as to say that a particular rule was evolved by Vijnaneshwara out of his brain (LodiksydfYir) and hence deserved no consideration. However, ultimately all scholars recognised and accepted his views. Due to his progressive views women became entitled to hold and inherit property. Hence, even though the Mitakshara may not be in vogue today except in matters of Hindu coparcenary property, yet the path it has shown is the path which India should pursue for its progress and prosperity. There neither was, nor is, nor will ever be a city like Kalyana, or a king like Vikrama or a pandit like Vijnaneshwara. May these three live for ever. An emperor in the 11th century touched the feet of this man to salute him. The inscriptions on a stone plaque, dated 1124 AD, found at the Kalingeshwara Temple in Martur village, 18 kilometres from Gulbarga, reveal: “Ariraya Mukuta Tadhita Charanan-enalu Negabdi Vikramankana Ratnokara Nichita Mukuta Tadhita,” meaning “When Emperor Vikramaditya bent down to salute Vijnaneshwara, the Emperor's jewelled crown touched the feet of Vijnaneshwara”. Such was the respect Vijnaneshwara commanded during his time. The inscriptions state that Vijnaneshwara lived in the court of Emperor Vikramaditya (1076-1126 AD). He wrote Mitakshara, a law treatise explaining the Yagnvalkya Smruthi, propounded by philosopher Yagnvalkya. Except for minor changes, the laws in India relating to Hindu Joint Family, distribution of property, property rights, stree dhana (women property), and succession are still governed by Mitakshara. Though written 10 centuries ago, the relevance of Mitakshara is greatly felt, especially in the courts all over the country. Till 1932, little was known about when and where Vijnaneshwara lived, and where he wrote his Mitakshara. The credit of discovering the time and place of Vijnaneshwara goes to Prof P B Desai of Dharwad. 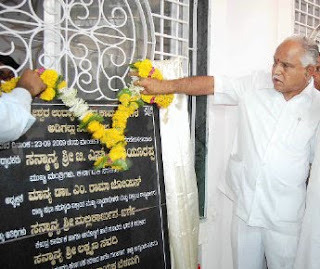 In the journal Prachina Karnataka: Hosa Belaku (Historical Karnataka: New Light), dated February 1, 1932, he wrote about a stone inscription at Kalingeshwara Temple at Martur, which discloses that Vijnaneshwara was a Kannadiga, and was born at Masemadu village in the present Bidar district. It was only recently that the famous epigraphist Sitaram Jagirdar took out a paper impression of the Martur inscriptions, and published its contents. Dr Jagirdar points out that the stone inscriptions date back to 1124 AD. The inscriptions also disclose that Martur was the place of work of Vijnaneshwara, and in recognition of his merit and contribution, he was gifted lands and honoured by Emperor Vikramaditya the VI of the Chalukya Dynasty. Vijnaneshwara’s original name was Kancha, and he was the son of Somaraj and Bhagyavanithe. His wife's name was Kethikabbe. Of his four sons, Beethiraja got the temples of Shiva and Mahadeva constructed at Martur, and for this, the land was donated to him on January 6, 1123. Through the inscriptions it is clear that Vijnaneshwara lived in Martur, where he also wrote his commentary Mitakshara. Until the inscriptions were deciphered, it was believed that Vijnaneshwara was born in the Kalyan region of Maharashtra. But, the Martur inscriptions prove that the legal luminary of the forgotten era was a Kannadiga born in the Kalyan region, which is now Basavakalyan in Bidar district. In 1970 the present Bihar Governor M Rama Jois who served as the Chief Justice in Punjab began writing a book Legal and Constitutional History of India. At that time, he came across the earliest translations of Mitakshara by H T Cole Broke of the UK (1867), and by Prof J R Gharapure of Pune (1912). Greatly impressed by the work, Justice Jois erected a befitting memorial for this medieval India’s greatest jurist. The fact that Vijnaneshwara was a Kannadiga and hailed from the Gulbarga region was little known to the world. The need to create awareness about this great personality among the common people, and promote research on his works led to the establishment of Vijnaneshwara Souhardhaka Co-operative Society. The Society came into existence last year in Gulbarga with Justice Jois as its chief patron. The main aim of this Society is to construct a befitting memorial for Vijnaneshwara at Martur at a cost of Rs one crore, and start a full-fledged research centre to study the life and works of the man. The State Government has already allotted six acres of land for the purpose. A local farmer Gundappa Kambar has donated half-an-acre of his land as a tribute to this great personality of yesteryears. Sage Yajnavalkya was son of Devarta. Mahamuni Vaishampayana was his guru. Maitreyi and Katyayani were his wives. Chandrakanta, Mahamegha and Vijaya were his sons. He learnt Taittiriya Smahita from his guru Vaishampayana. However, once his guru was angry on him and asked him to omit the entire knowledge he learnt from him. Then Sage Yajnavalkya decided to worship Sun god and acquired fresh Vedic knowledge from him directly. 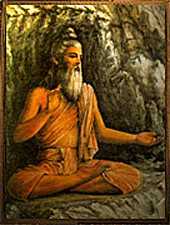 His discourses with his wife Maitreyi about absolute Self was called Brihadaranyaka Upanishad. Sage Yajnavalkya was also the author of Yajnavalkya Smriti, Yajnavalkya Shakha, Pratijna Sutra, Satapatha Brahmana, and Yoga-Yajnavalkya.